The Rubber on the Duck: The rubber toys first appeared in the late 1800s, when manufacturers made use of Charles Goodyear’s (The tire guy) process for rendering rubber into malleable material. By the 1940s, rubber ducks developed into the iconic floating yellow figure with bright orange bill we recognize today. 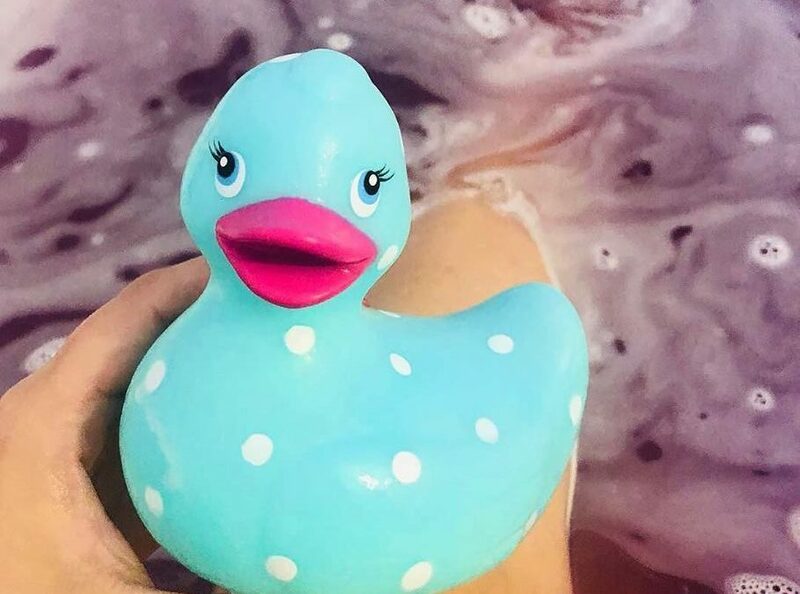 With a bit of flare and fashion big designers such as Danielle Couture began sprucing up those yellow ducks adding polka dots, pearls, and eyelashes on them to apeal to the adult market. Do you still rubber duck? I know I do.